One of Chicago's premiere parks, Lincoln Park is a residential community, the site of the famous Lincoln Park Zoo and the Peggy Notebaert Nature Museum and more. The neighborhood, located on the near north side, has many single family and multi-family complexes. Lakeview Avenue has many distinctive residences such as the Wrigley mansion as well as past and present distinguished residents. From its location directly across the street from the north section of Lincoln Park, 2626 Lakeview is ten minutes from the bustling shopping area of the Magnificent Mile to the south and ten minutes from Wrigley field to the northwest. Parks, lakes, shopping and sports all within minutes of home. 2626 Lakeview is a 24 hour, full service building. It is 42 stories high, built in 1968, and converted to condominiums in 1976. There are 491 units that are home to over 1,000 residents. Building amenities include a rooftop heated outdoor pool, sundeck, barbecue grills and picnic tables, a large, attractive lobby, exercise room, indoor garage, fast elevators, valet, electronic security, and a pet friendly environment. Considering the building's excellent features and services, monthly assessments are low when compared to neighboring properties. 2626 Lakeview is a wonderful place to live! Our building is managed by Sudler Property Management. 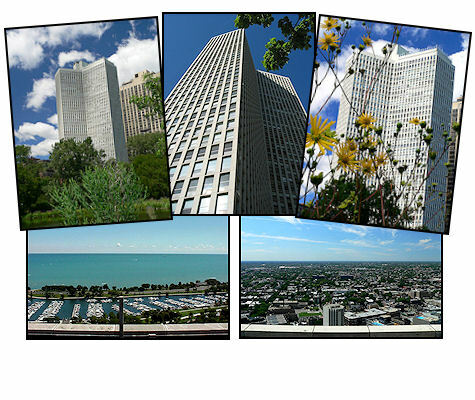 Sudler manages many of the most prominent residential addresses in Chicago.